I love desserts! Ice cream, in particular. I mean, who doesn't, right? Maybe a few, but for sure you've tasted ice cream at least once in your life. 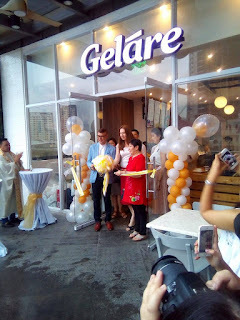 So, I was so thrilled when I was invited to Geláre Philippines Grand Launch last November 9. It was raining cats and dogs when I headed to their Uptown Mall branch in Bonifacio Global City with my boys. Geláre, founded in Australia in 1986 by Mr. Farid Torabi has been tantalizing palates and capturing the market's love for gourmet dessert for over 20 years in Perth and Brisbane. 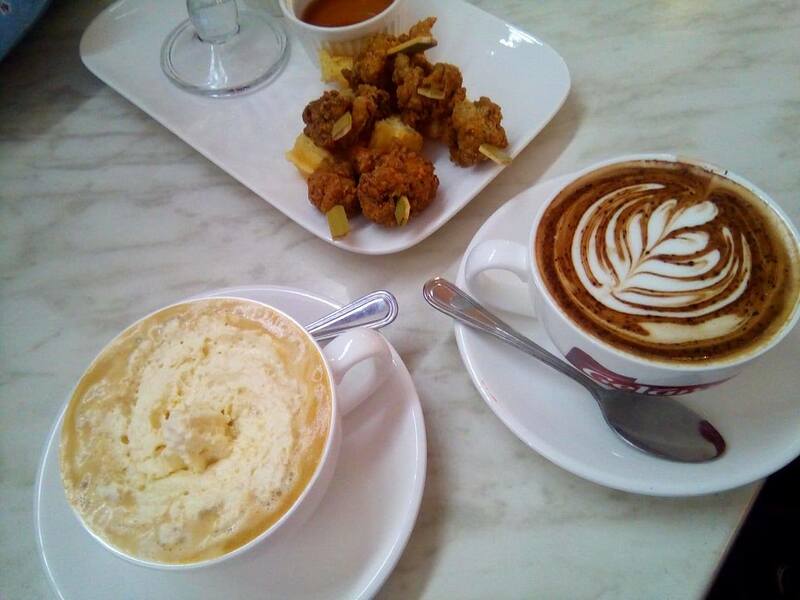 Aside from melt-in-the-mouth gourmet ice cream, the cafe also serves warm golden waffles, vegan desserts and hearty breakfasts. They also have Buttermilk Fried Chicken that's to die for! They have something to offer, from sweet to savory. Did you know that the regular ice cream we grew up with contains 50% air while the famous Gelatos have 25%? 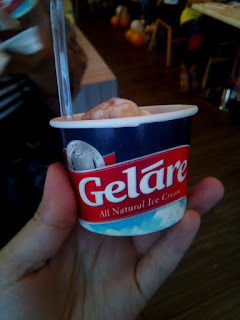 Geláre's ice cream, however, are airless. You read that right! So next time that you're getting a scoop or two (ok, maybe a pint), you know you're getting 100% ice cream. 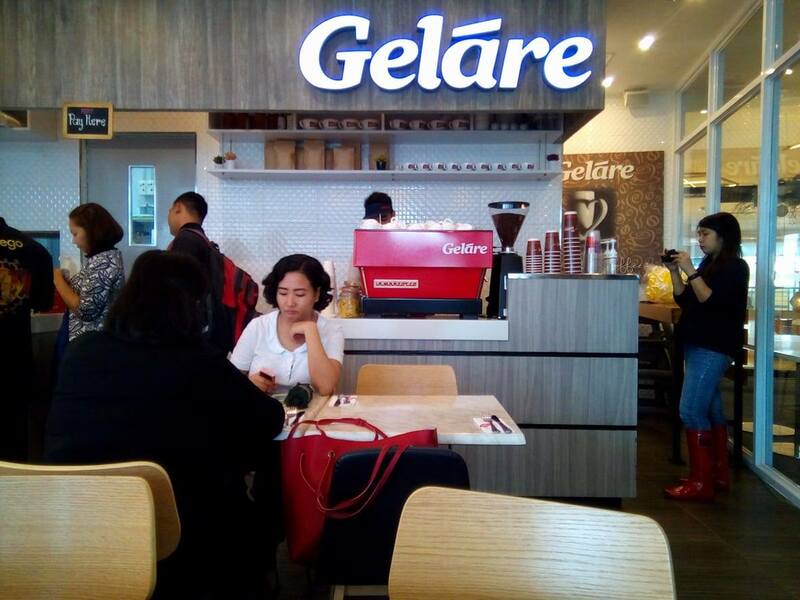 Geláre is present with more than 50 branches across Australia, Singapore, Hong Kong, Malaysia and Indonesia. 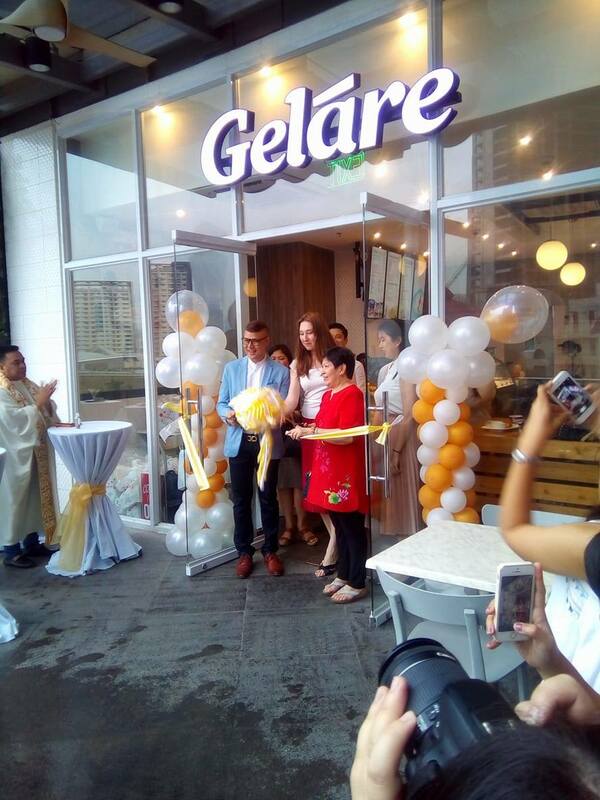 Thank goodness, Geláre is now in the Philippines, too, with their flagship store in hip and happening BGC run by WhitePlates Inc. The interiors are cozy and relaxing, perfect for small meet-ups with friends and family to indulge in some guilty after a hard day's work. Or any time of the day. It's always a perfect time for dessert, right? 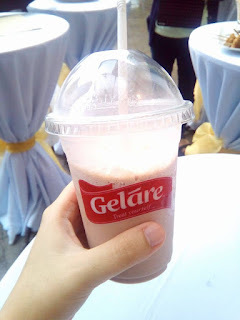 Geláre is an Italian word that means "to freeze" or "congeal", the final step in making ice cream. It offers 24 staple ice cream flavors to choose from like Blueberry Cheesecake, Chocolate Chip Cookie Dough, Peanut Butter Cup and Honey Malt. Like I've mentioned earlier, they have 5 Vegan and Halal certified ice cream such as Banana Caramel Swirl, Lychee Lane Sorbet, Mango Passion Sorbet, Lemon Lime Sorbet and Matcha Green Tea. This is, honestly, the first cafe I've ever known to offer this line which is great because more people can enjoy ice cream. What's more exciting is that Geláre offers sweet and savory waffles that comes with a perfect crisp on the outside yet light and fluffy on the inside. You can enjoy it with just rich buttercream, a la mode or with eggs benedict. Going there for lunch and need some protein? Say no more, the Waffle with Buttermilk Chicken comes to the rescue. I've tried this one and I was so delighted to find out that it was a juicy chicken fillet that fried to golden perfection. I don't enjoy chicken bones, to say the least, so this was a big relief. They also have Waffle with Sliced Beef & Gravy. This was thinly sliced sirloin which was richly flavored and very tender. 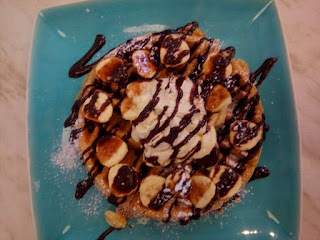 Look at that lovely waffle! Geláre also offers coffee, hot or cold, and even customizable Affogato with your choice of ice cream. Not a coffee drinker? Well, a smoothie or a milkshake may just be the drink for you. 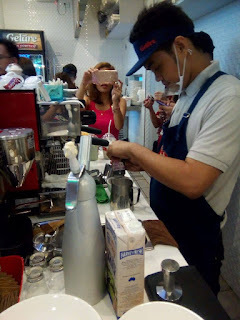 Try their Mango Mango and Merry Berries Smoothies or their milkshakes with your choice of ice cream. I tried their milkshake with the Chocolate Overload ice cream. I was expecting something really sweet (because c'mon, overload), but it was surprisingly not-too-sweet kind of perfect. I was so into having all these food, I forgot to take a photo of my Chocolate Overload Milkshake when it was still full. At Geláre, there is no limit to your imagination. Seriously, this is my kind of heaven. They literally have everything I love with desserts, even with chicken! 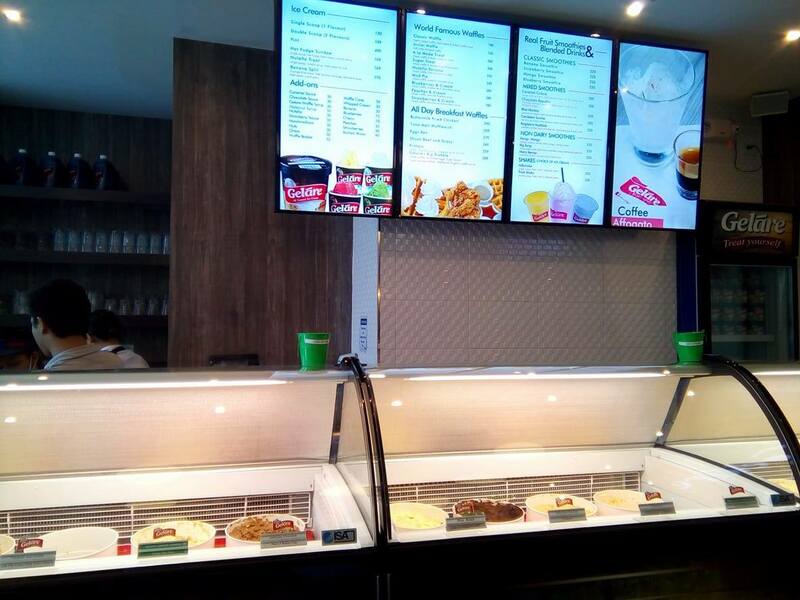 Head on to Geláre at the 3rd Level, Uptown BGC. 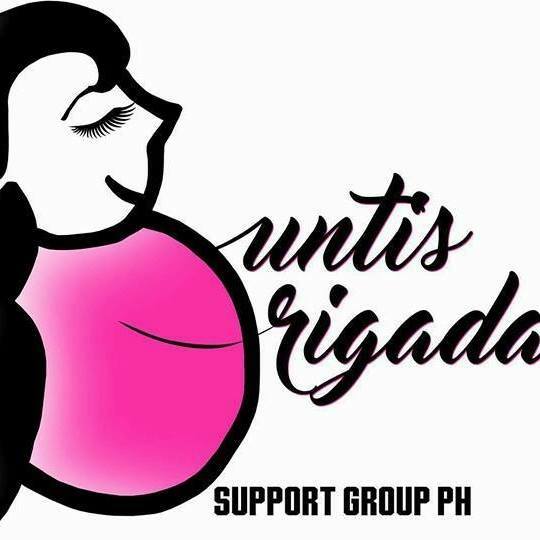 There's also a branch in Nuvali opening soon. Now, wouldn't that be sweet? For more updates, check out Geláre on Facebook: https://www.facebook.com/GelarePH/ or follow them on Instagram: @gelareph.